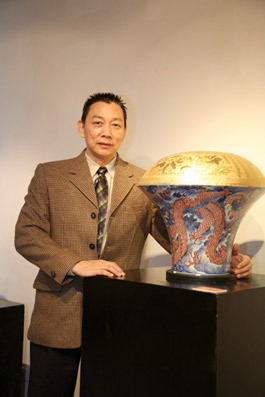 Belonging to the Year of the Dragon, Wang Hsin-tu has been engaged in the art of underglaze red for more than 30 years. 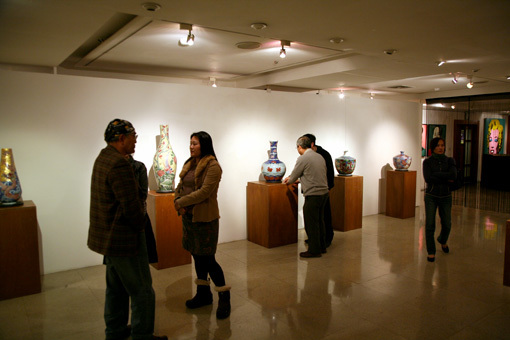 When he was 20, he enrolled in the Department of Arts and Crafts, National Junior College of the Arts, determined to challenge the mission of reviving the extinct art of underglaze red. 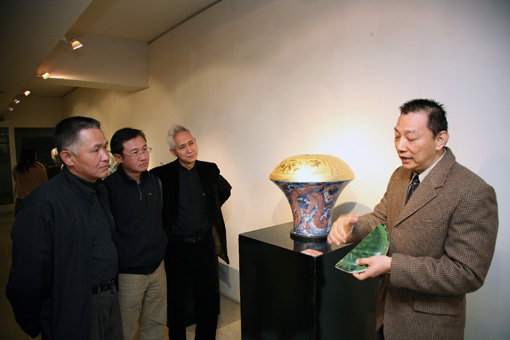 From information he gathered elsewhere, he came to realize the historical drawbacks of making underglaze read porcelain. Either the glaze was too thick, which resulted in dripping; or too thin, so that the drawing faded after firing; most pieces turned brown or black after firing. 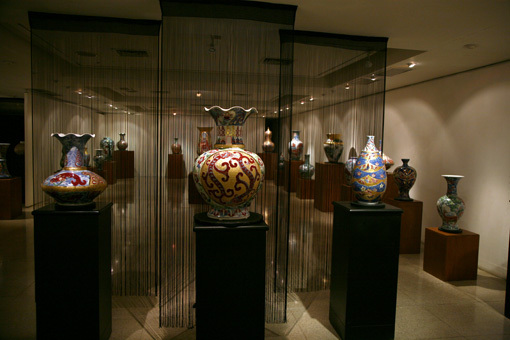 Hardly anybody experienced the supreme beauty of underglaze red. In the past 800 years, underglaze red seemed to be a veiled and mysterious beautiful woman; few caught a glimpse of her true face. 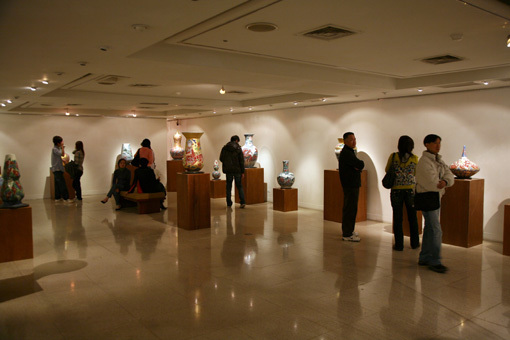 Not knowing its secret, people chose to ignore the art. 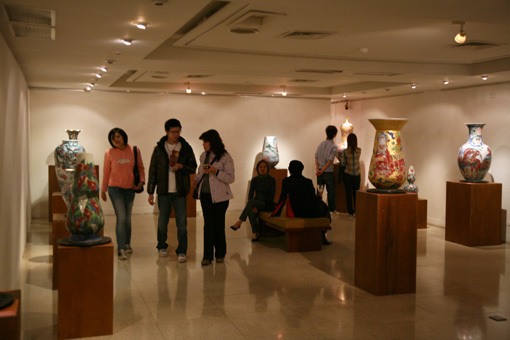 In addition, artists comforted themselves with the saying, “It is difficult to control the tincture, and underglaze red can be achieved only once in a while.” Even if they were successful in firing underglaze red porcelain, they did not believe it was the result of their artisanship, and instead, they thought it was heaven's blessing. 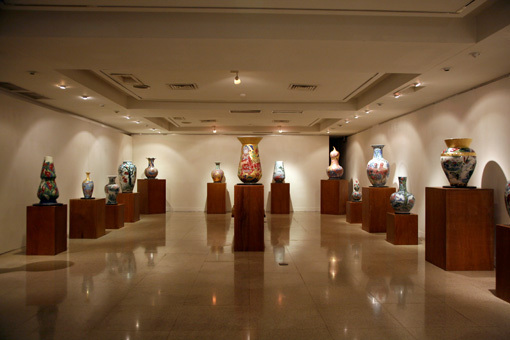 In order to become the inheritor of underglaze red, his only friends are clay, glaze, and kiln; and his love is porcelain. From time to time, it requires a huge effort to cultivate a work. In order to keep fit and train the strength of his arms, he never smokes, never drinks, and has no nightlife. He lives a regular life and even works out everyday regularly in the gym. By staying in the best physical and mental conditions, he can have the spirit and strength to challenge the difficulties awaiting him tomorrow. He always says, heaven chose him, and he has chosen underglaze red. 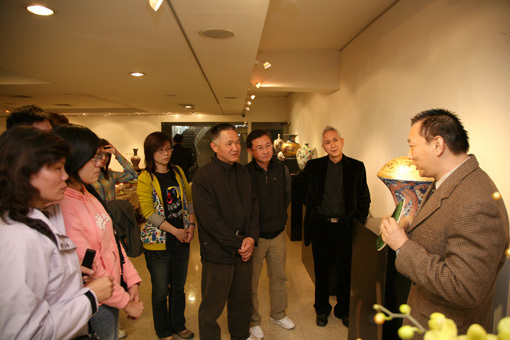 It is his determination to inherit the craft of underglaze red porcelain and develop it further by demonstrating the beauty of underglaze red in front of everybody.